Ubisoft has revealed the first details on Rainbow Six Siege Operation Grim Sky, which is upcoming Year 3, Season 3 content. Rainbow Six Siege Operation Grim Sky feature two new Operators, one American Attacker, and one Defender from Great Britain. The second Operator is an American Attacker, a specialist in tactical operations. New content in Operation Grim Sky will add the Hereford Base map inspired by the training camp from the Tom Clancy novel. It was one of the first maps introduced during the Rainbow Six Siege beta in 2015. 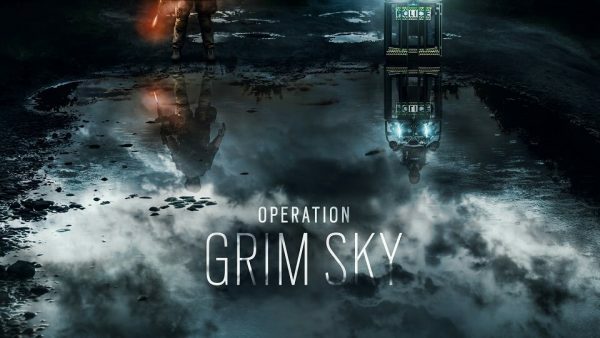 It has been fully reworked for Operation Grim Sky with a new “visual identity,” layout, and architecture. The map will still feel familiar, but Ubisoft said it could be considered a new map. A few gameplay enhancements will come alongside the new content, one of which will address the weapon sights misalignment. An adjustment with the Operator Idle Pick as well as dynamic resolution scaling for consoles are also on the way. The full reveal of Year 3 Season 3 content for Tom Clancy’s Rainbow Six Siege will be made on August 17-19 during the Six Major Paris.